Parker 50 "Falcon" mechanical pencil. Gold filled Signet design. It takes 0.7mm leads. Excellent + condition. Manufacturer and Year Parker, made in England -- 1981 (The date code is UE which indicates 1981), the Signet design in the Heritage Collection came out in 1981. Filling System Takes 0.7mm leads. The cap is threaded and when removed an eraser and access to the lead reservoir is exposed. The pencil is cap actuated clicker. Color 12k gold filled pen. 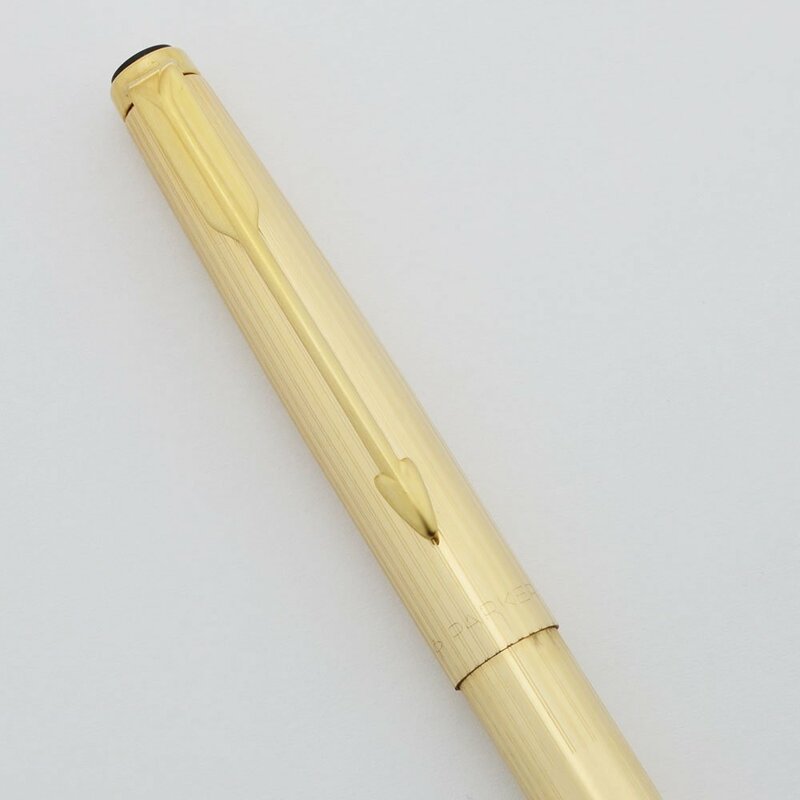 The pen has pairs of narrow lengthwise lines throughout with a blank cartouche area and a slanted smooth area to give the appearance of a pencil cone. Condition Excellent + condition. From an arm's length away the pen looks perfect but up close there are little marks here and there in the finish. The most marks are around the cap lip but there are a few marks in other spots too. All of the imprints are clear.